Los Angeles (AFP) - South Korea's Ko Jin-young's seven birdies included a late string of three in a row that pushed her to a third LPGA title Sunday at the Founders Cup in Phoenix, Arizona. 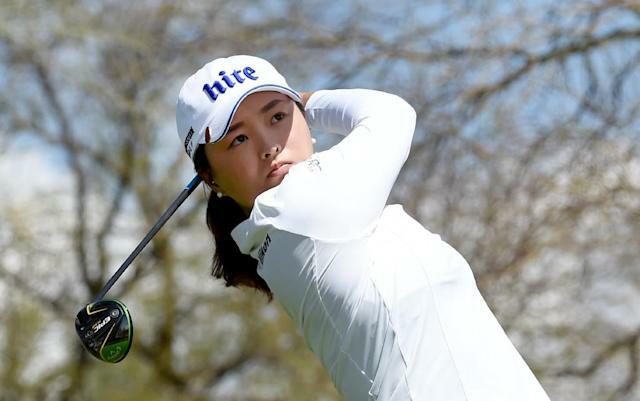 Ko started the day four off the lead of China's Liu Yu, but a bogey-free round of seven-under par 65 at Wildfire Golf Club carried her to a total of 22-under par 266 and a one-shot lead over Liu, Spain's Carlotta Ciganda and American sisters Jessica and Nelly Korda. "I don't need to practice anymore!" a delighted Ko told well wishers when the victory was secured, later adding that she had played the whole round just trying to stay in the moment. "So, amazing day," she said of her first victory on US soil, after titles at the 2017 KEB Hana Bank Championship in South Korea and the 2018 Women's Australian Open -- part of her 2018 Rookie of the Year campaign. She started well enough with birdies at the second and fifth, but on a day when birdies abounded, she wouldn't find another until the par-five 15th. That tied her with Ko's clubhouse lead, but she was unable to get past -- or force a playoff -- as her par attempt at 18 slid past the edge of the cup. Ciganda, who started the day one adrift, was 22-under through seven holes. She gave a shot back at the eighth, but her real trouble was a bogey at the par-five 11th -- perhaps the easiest on the course, and one more birdie on the way to a three-under par 69 wouldn't get the job done. Jessica Korda, in her first tournament of the year after time off to recover from a forearm injury, surged up the leaderboard with an eight-under par 64 that included six birdies and two eagles -- at the 11th and 15th. "I had a lot of rust at the beginning of the tournament. I didn't hit a lot of great shots out there, But it's slowly coming back together," Korda said. Nelly Korda, winner of the women's Australian Open in February, joined the group sharing second with a final-round 66.